Can you hear those children playing outside? (Referring to the noise of children playing downstairs) The reason they are out there is because they don’t like to sit through this boring class. Classes are boring for them, but when the Kirtan starts they will run upstairs, they will chant, dance and be happy. So kirtan is so pleasing and it is so easy; and God has come in his name because kirtan is so simple, yet so powerful. 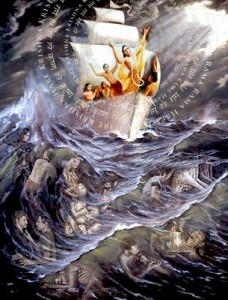 Actually, God is always in his name, but in this age the method of kirtan is most highly recommended.